Bayern Munich president Uli Hoeness believes Jerome Boateng will stay with the Bundesliga champions for the 2018-19 season. 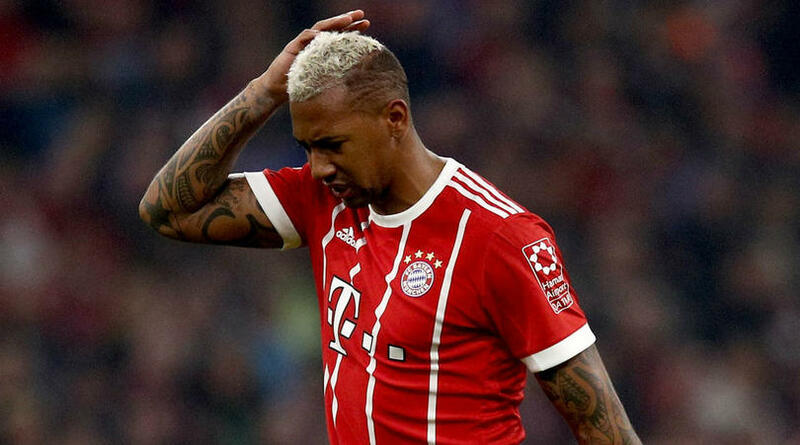 Boateng has been strongly linked with a move to Paris Saint-Germain and Hoeness said earlier this month that the chances of a deal happening were ’50-50′. The German defender has told Bayern of his intention to leave but PSG bolstered their defence with the signing of Thilo Kehrer from Schalke. And Hoeness now believes the defender will be with Bayern throughout their first campaign under new coach Niko Kovac, who said he wants to keep the centre-back at the club. ‘If you want to hear my feelings tonight, I would say that he will stay in Munich,’ Hoeness told reporters after Bastian Schweinsteiger’s testimonial on Tuesday. Boateng played the second half of the game as Bayern ran out 4-0 winners against Schweinsteiger’s MLS side Chicago Fire at the Allianz Arena. The German defender endured a difficult time at the World Cup in Russia and came under heavy criticism following his side’s shock exit. He, however, would look to put that behind them as Bayern look to defend their Bundesliga crown.